This week’s chart on this cross stitch sampler challenge was completed on Sunday 15th may. This week’s stitches are fern stitch and the beaded version of fern stitch. These two have been worked earlier, the link to my blog needs to be posted on facebook group. 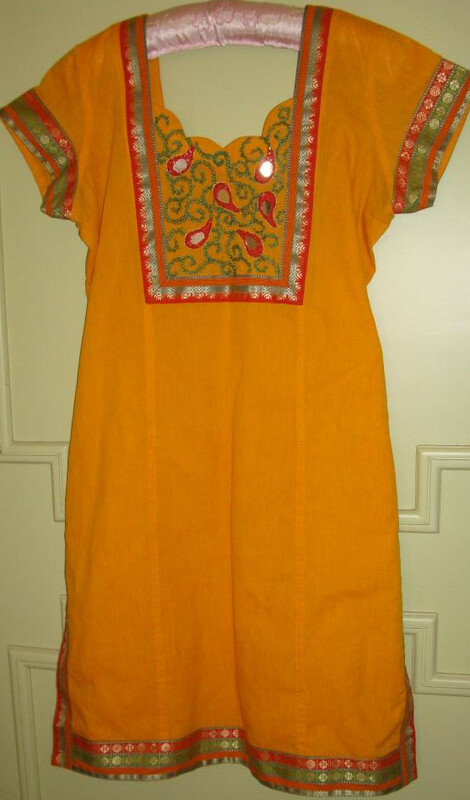 The sewn yellow khadi cotton tunic was embroidered and embellished with mirrors this week. 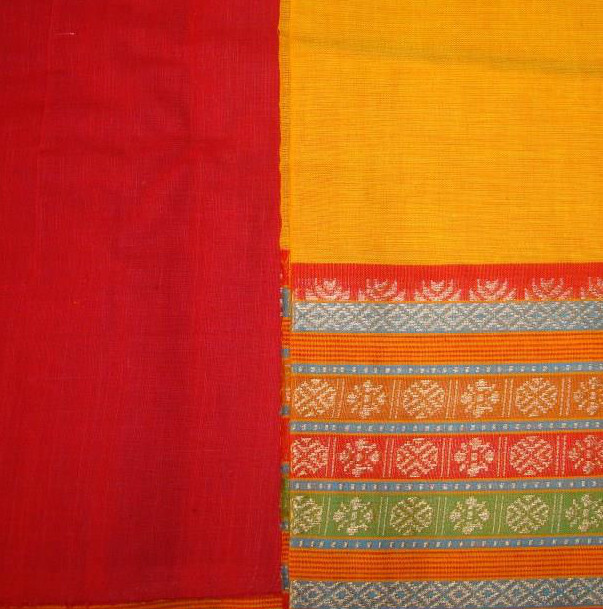 Khadi is hand woven fabric made with hand woven yarn. Some progress was made on this small piece this week. 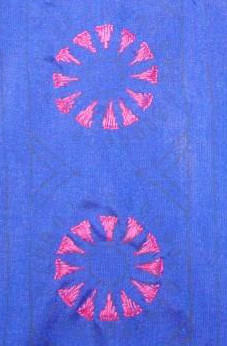 The sequin were attached with silk thread. the stitch worked is different from the usual mirror stitch. Holding on to the sequin was easier and keeping the thread in its place was difficult. I thought differently when this work started. 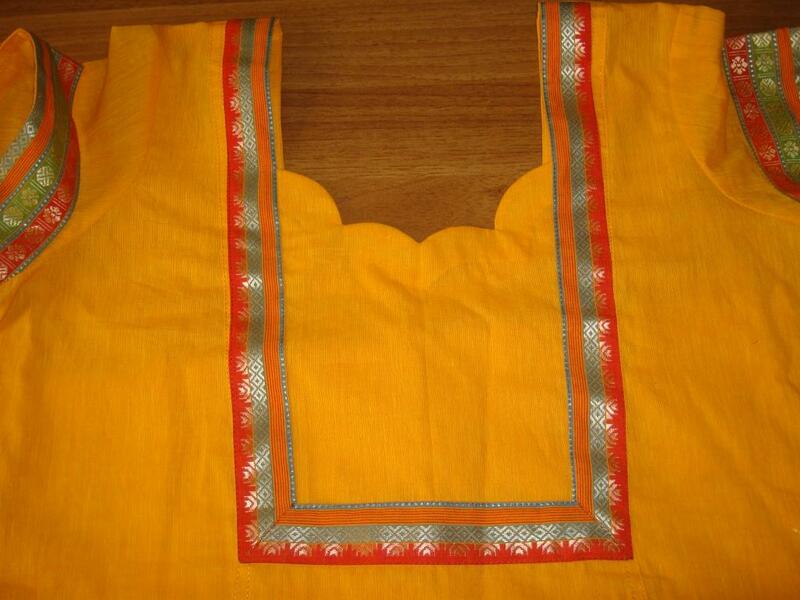 This project was lying in a bag, till it was coordinated with a ready sewn Patiala. I have another project to start. The fabric is with the tailor. 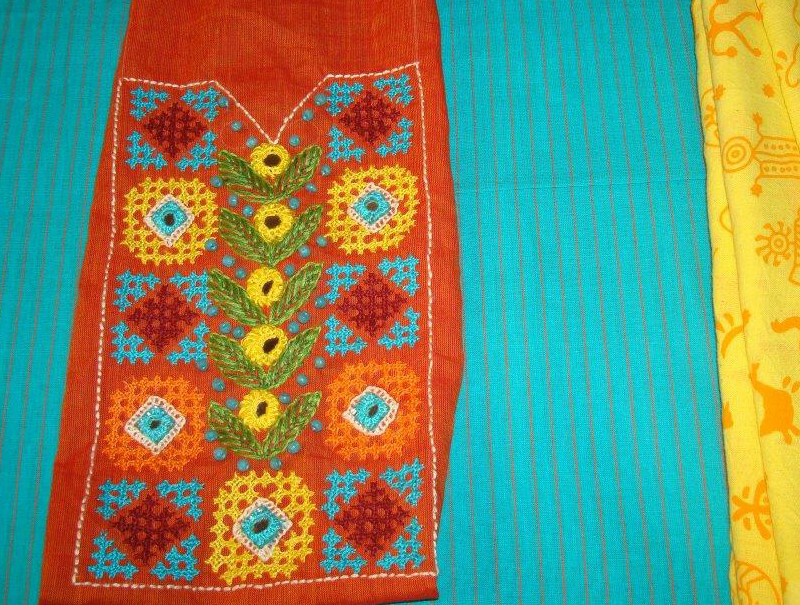 This is black cotton fabric with threadwork border. 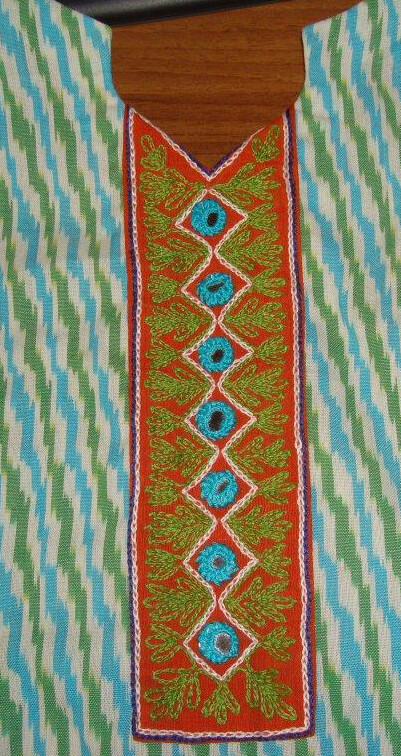 The tailor will give the front piece of the tunic to be embroidered. More details next week.